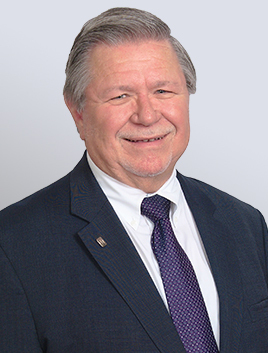 Bill started his career in the funeral industry in 1972 and graduated Salutatorian from Gupton-Jones College of Mortuary Science. Over the years Bill worked for a number of funeral homes and cemeteries. In the early 2000’s he returned to his alma mater as an instructor until entering in a partnership with his older son, building an IT business. Once up and running he turned that business over to his son and returned to funeral service. Bill is a member of the Masonic Lodge and has served as Master and then as Secretary for many years. He has been a member of Rotary and is a past president and Paul Harris Fellow. He has been a member of the Optimist Club and a past president of that organization. During his time managing various funeral businesses he also served on several city committees as a City Council appointee. He and his wife, Yvonne, have been married for 45 years and have 2 grown sons and 3 grandchildren. When he is not working he enjoys spending time with family and traveling.